Twitter confirmed Friday that it bought Periscope, a small livestreaming video developer that's expected to be Twitter’s response to Meerkat, a similar app that posts livestreamed video to the user’s Twitter feed. Kevin Weil, the vice-president of product at Twitter, and Periscope itself, confirmed the deal. Periscope’s Twitter account also said that the acquisition had been completed in January. With the South by Southwest show (SXSW) taking place this week, many are looking for the launch of the next great app. Some have speculated that we’ve already found it: Meerkat, an iOS-only app that allows users to “tweet” live video, basically broadcasting a video stream that users can respond to as it plays out. Although the app has only been available for a month, it’s already become the darling of some of the tech media, who have used it to broadcast video from events as they happen. Periscope supposedly works in much the same way, according to TechCrunch. Unlike Meerkat, however, Periscope apparently stores the video for later playback, but synchronizes the comments as they appear (like comments that pop up as a Soundcloud track plays, apparently) as the video plays back. 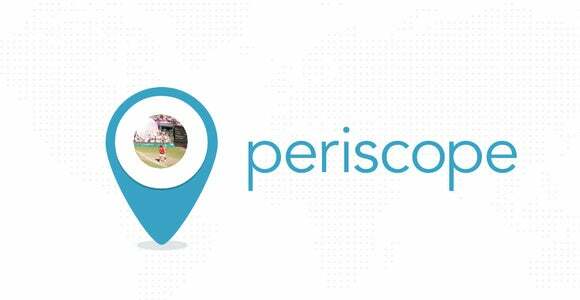 It’s unclear whether Periscope is ready for an unveiling, however. Periscope describes itself on its Twitter feed as a way to "explore the world in real time through someone else's eyes." Its Website shows a Google-Maps-like marker playing short clips of video. Right now, Meerkat appears to have two flaws: It only livestreams, meaning that if viewers miss it, they miss it. (Meerkat can save streams to your iPhone.) Also, any comments that viewers make are published to Twitter, which not only removes their context but also might be embarrassing, depending on what content the stream displays. Of course, Twitter already has a video solution of sorts: Vine, which displays several seconds of video for the world to loop, over and over. Periscope would be quite a step beyond it—especially if the company allows lengthier videos than the site’s culture of brevity has supported up to now. Why this matters: Twitter users certainly have no problems typing a 140-character message to their friends and fans; however, Twitter app that quickly streams what you’re seeing—as opposed to describing it via text and pictures—may be the future Twitter sees for itself. But will anyone to be able to make sense of it all?